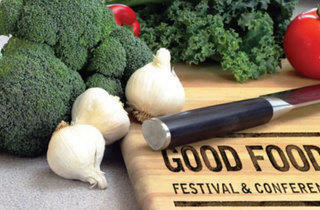 Good food is: A. Healthy food produced locally, by family farmers who use sustainable, humane and fair practices. B. A fast-growing movement. C. A weekend-long festival promoting the movement. D. All of the above. If you didn't guess "D," then let us fill you in a bit...the movement isn't just for hipsters and health nuts. It's about connecting non-government organizations with businesses and individuals to help promote food that is both better sourced and better tasting. To help raise awareness, this second-annual weekend festival will comprise several events each targeting a different aspect of awareness. 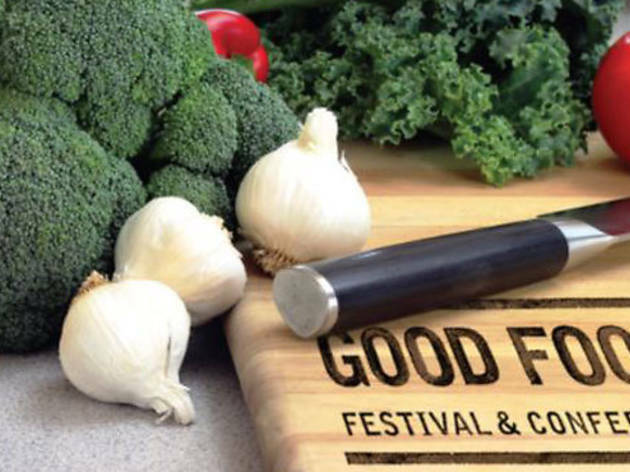 Help kick off the festival on Saturday with the LACMA Good Food Conference, a discussion of both regional and national issues dealing with sustainable food systems. Speakers include Laura Avery of the Santa Monica Farmers Market, Meg Glasser of Food Forward, Evan Kleiman of KCRW's Good Food, Ann Gentry, founder of Real Food Daily, Arran Stephans, CEO and founder of Nature's Path and Andrew Kimbrell, executive director of the Center for Food Safety. On Sunday, come experience good food first hand with Localicious, a wine and food tasting fundraiser at the Annenberg Community Beach House where 30 of the city's chefs partner with 30 farmers from the Santa Monica Farmers Market. Proceeds benefit familyfarmed.org. It should be a welcome departure from the previous weekend's tricks and treats and is highly recommended for anyone who has been referring to candy corn as a vegetable.